By David Ponce on 10/18/16 • Leave a comment! Having a house full of devices often means a bunch of remotes lying around. 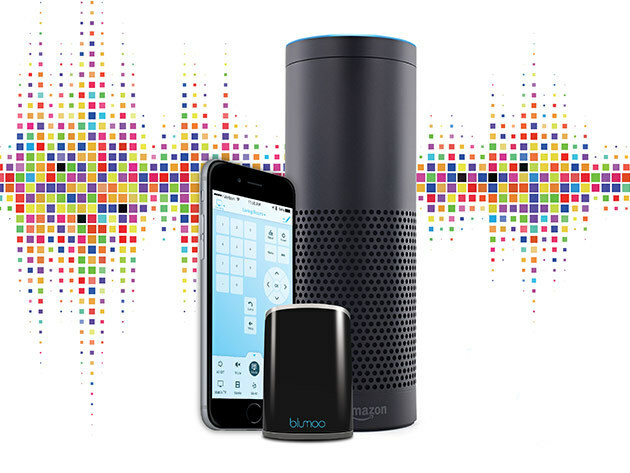 The Blumoo Bluetooth Universal Remote lets you pool all of these into one unit, which connects to your smartphone to turn that into a universal remote. 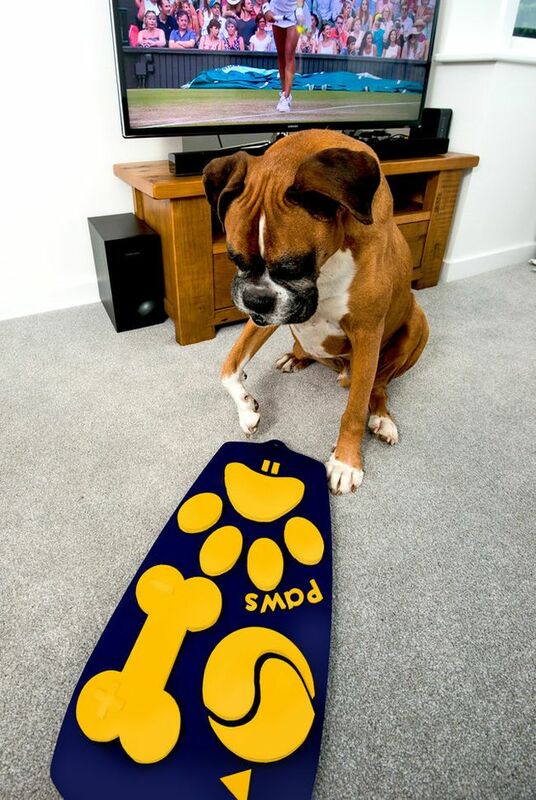 It’s a great product and has show to be a good seller on our shop. Normally $99, it’s $52,99 with today’s deal. By David Ponce on 06/07/16 • Leave a comment! There are a lot of devices in your home, and they all need controlling. 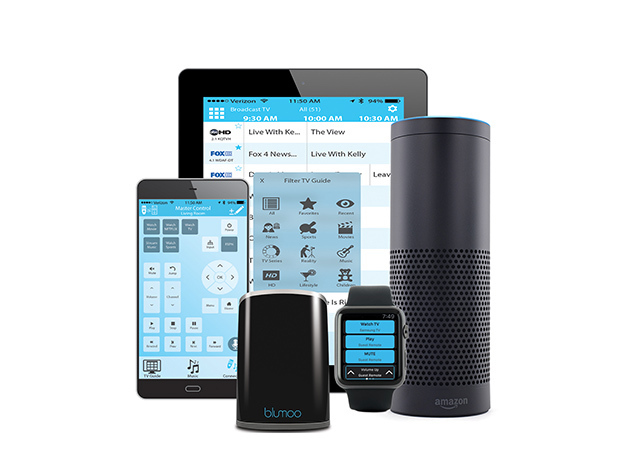 With the Blumoo Bluetooth Universal Remote, you can do that for every single one of them through your smartphone. Normally $100, it’s $52.99 after today’s deal, shipped for free as usual. By David Ponce on 08/04/14 • Leave a comment! It’s one thing to buy a novelty replica of a TV prop. 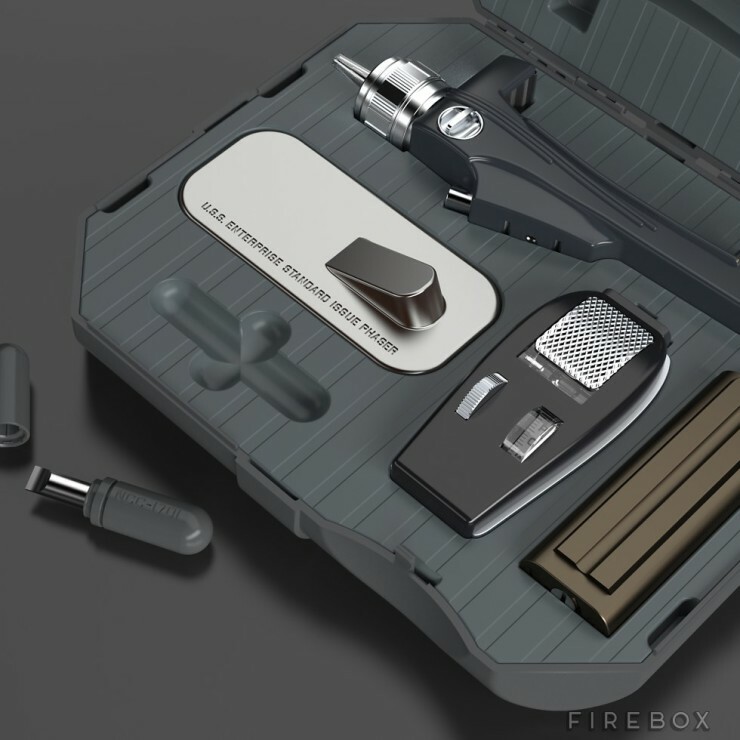 It’s quite another to buy a Star Trek Phaser so faithful to the original that it was made by 3D scanning the last remaining prop from the TV series. 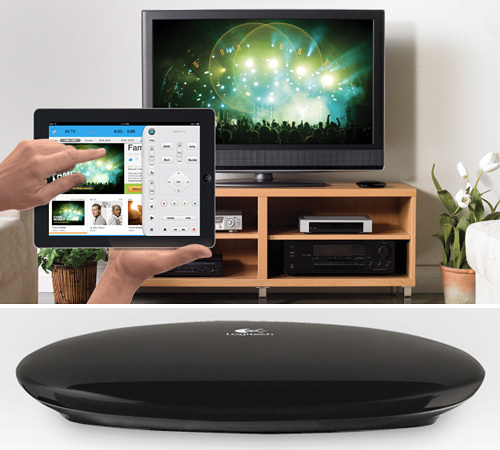 It’s also fully licensed by CBS, and doubles as a programmable infrared remote with which you can control your TV, iPod docks and many other gadgets. And when it’s not changing channels, this Phaser plays a wide range of original sound effects from the series. 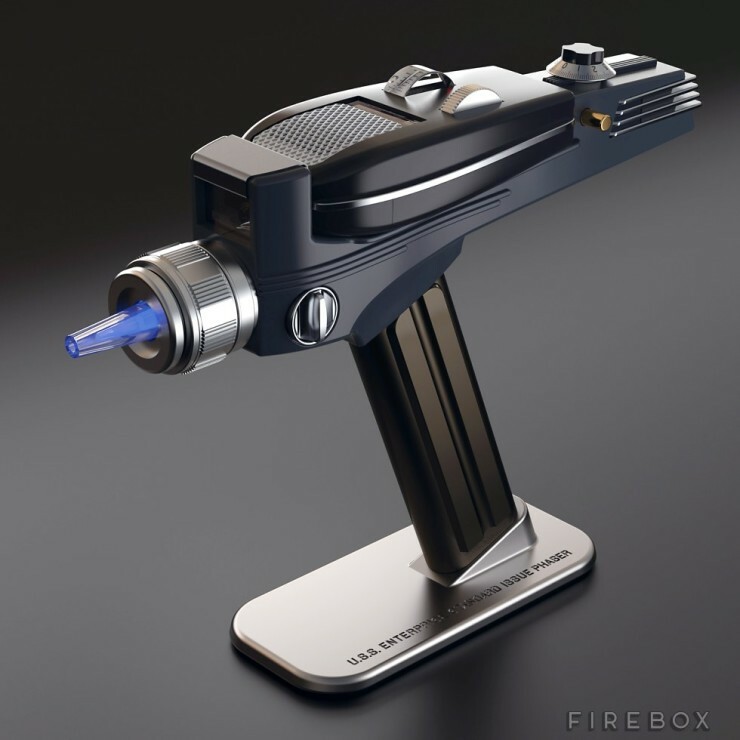 It also vibrates and lights up each time it’s “fired”, and features a removable side door to reveal an illuminated dilithium crystal power cell. It’s made from a matte nickel plated die cast, and comes with a museum-quality metal stand, with hidden magnetic catch. The carrying case is made from rugged ABS plastic, printed with a blank name plate ready for you to make it your own. The only thing you might have trouble doing is vaporizing rocks and alien life forms with it, but at £119.95 (roughly $200), we’d say that’s good enough. Exhibitors Ahoy: Buy The TV-B-Gone-B-Gone Now! By Andrew Liszewski on 09/01/11 • Leave a comment! 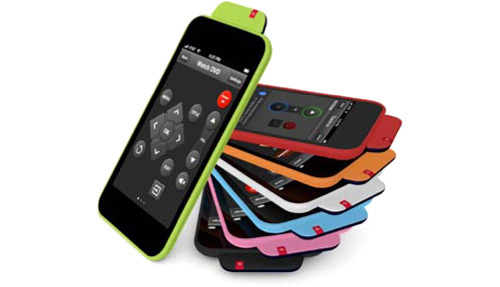 The original VooMoteOne from Zero1 expanded the functionality of the iPhone and iPod Touch by turning it into a universal remote. Unfortunately at the expense of having to use a fairly hefty sleeve case. So Zero1 put it on a strict diet, resulting in their new VooMote Zapper which is being officially revealed at IFA today. The bulky sleeve has been reduced to a colorful paperclip sized dongle (with optional matching case) that attaches to the dock connector of any iOS device. 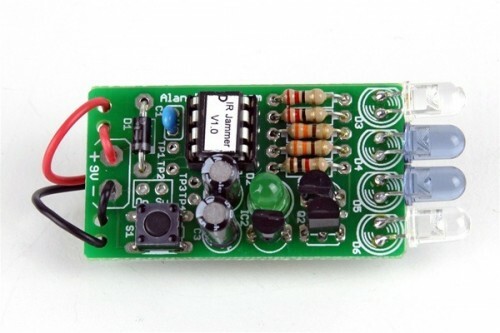 All you need to do is then download the free VooMote app and setup the devices you wish to control. The minuscule dongle certainly makes the VooMote Zapper more appealing than its predecessor, but it’s the highly customizable app, letting you arrange the buttons however you want and even create multi-function macros, that will appeal to most home theater junkies. Unlike the original VooMoteOne the Zapper does require you to hold your iOS device upside down when using it as a remote, but I think that’s a reasonable tradeoff. Available sometime this Fall with pricing TBA.